When I got a new computer, I installed Ubuntu and Windows XP on it. When I turn it on, GRUB shows up and lets me choose between the OSes. All right so far. A while later, I decided I don't want Ubuntu anymore (Linux fanboys, refrain). I deleted its partition, but I realized too late that GRUB depended on it, so the computer wouldn't boot. I installed Ubuntu again and it's working fine. So how do I tell the computer that I want it to boot directly into Windows? EasyBCD will overwrite GRUB, after that format the Ubuntu partition: Done! You need to reinstall the Windows NT Loader (yeah, its NT even for XP) to the primary boot partition. Thankfully, doing so is incredibly easy. Boot in Recovery mode from an XP CD. You need to boot from the CD to do this. As GeneQ added in the comments below, if fixboot and fixmbr fail, you can always use fdisk /mbr. The fdisk method will work on older computers that have MSDOS/9x bootdisks. You will need to insert a Windows XP CD and boot to the CD. Instead of installing, you will need to enter the Recovery Console. There you will need to use the fixmbr command to repair your master boot record. You may also need to use fixboot on your windows partition. That should get you back to your Windows only install. You can then delete the Ubuntu partition. Not the answer you're looking for? Browse other questions tagged windows linux grub bootloader or ask your own question. 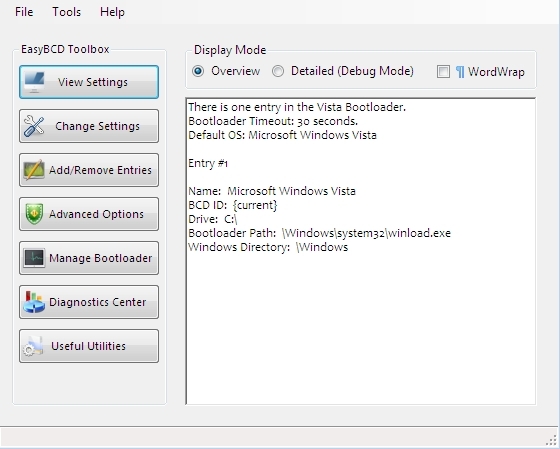 how to install Windows Bootloader to MBR? How to boot into Linux (Ubuntu) with Windows Bootloader? Deleted Linux partition - how do I make Windows boot normally?